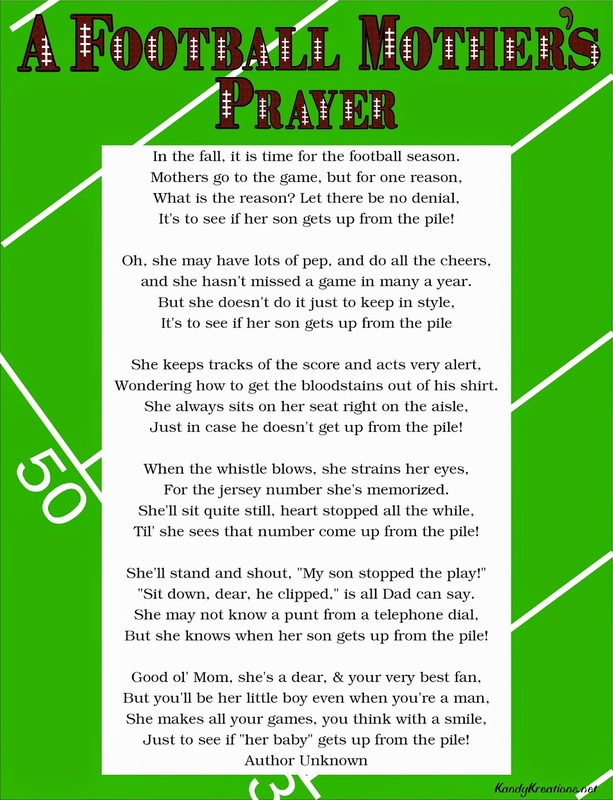 I found this Football Mother's Prayer while I was searching for some football quotes for my son's scrapbook. I told you he was playing football again this year, and so I've been trying to stay ahead of the game and keep all the memorabilia up to date so I don't keep losing it. I just loved this prayer poem so much that I needed to make it into a printable for his scrapbook (or mine since it describes how I feel completely!) I thought you might want a copy of it too if you have a football player in your household.